Lee & Associates Maryland has been named the exclusive leasing broker for Warfield at Historic Sykesville, a 91-acre mixed-use development located in the Sykesville section of Carroll County, Maryland that is configured to support nearly 600,000 square feet of Class “A” commercial office and light industrial space, of which approximately 60,000 square feet will be retail. The project will also include approximately 145 residential units, a full-service hotel with 120 rooms, and a 27 acre town park under its Planned Employment Center (PEC) zoning. Ground was recently broken on the project that is being developed by Warfield Companies. Dennis Boyle of Lee & Associates will oversee all leasing and marketing activities. 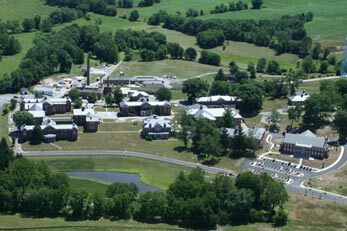 The property is located on MD Route 32 in the Sykesville town limits and, in addition to substantial acreage for new construction, contains twelve separate buildings on a 17-acre parcel constructed in the early twentieth century and utilized by Springfield Hospital Center until the early 2000s. The buildings carry historical designations from the National Park Service and Maryland Historical Trust and comprise about 185,000 square feet of the total 600,000 square feet of non-residential density permitted by the zoning ordinance. Nine of the structures are presently vacant. “The development team is optimistic about the timing of this project and its position in the market,” explained Boyle. “There is a pent-up demand for commercial space in Carroll County due to limited delivery of new space in recent years, particularly within the medical, healthcare and research sectors. We also believe that there is some untapped demand from companies with ties to Ft. Meade that will likely take an interest in Warfield now that the project is officially open for business. In general, companies and retailers are turning their attention to secondary markets to establish new locations. 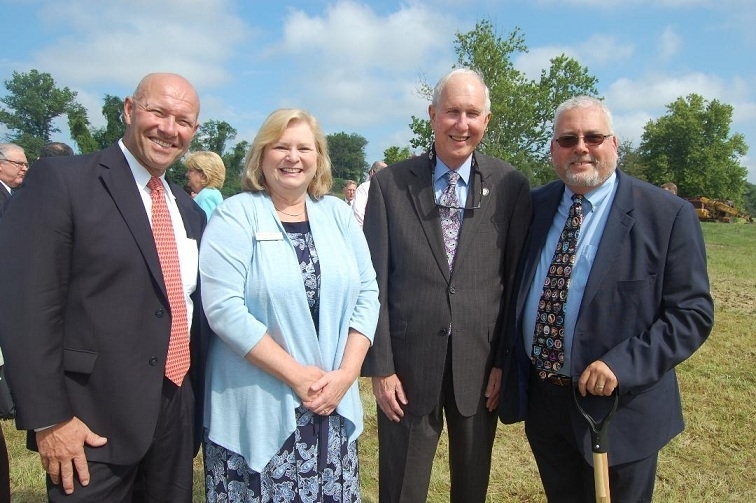 Compared to more established markets, areas such as Sykesville offer companies a better real estate value for their money, room to grow, and a better parking situation and their employees more affordable housing options with an easier commute,” Boyle added. Three of the historic buildings are restored and occupied by Nexion Health, Zeteo Tech and The Carroll County Dance Center. The remaining nine buildings will be rehabilitated and repurposed in a variety of ways as future users, owners and tenants are identified. The buildings or portions thereof will be offered for lease or purchase depending on the needs of individual users. Construction and restoration activities will shortly be underway on the first speculative office building. Elm Street Development has also commenced groundbreaking for the first phase of new construction on a 145-unit townhouse project, with the first delivery of product scheduled for early 2019. 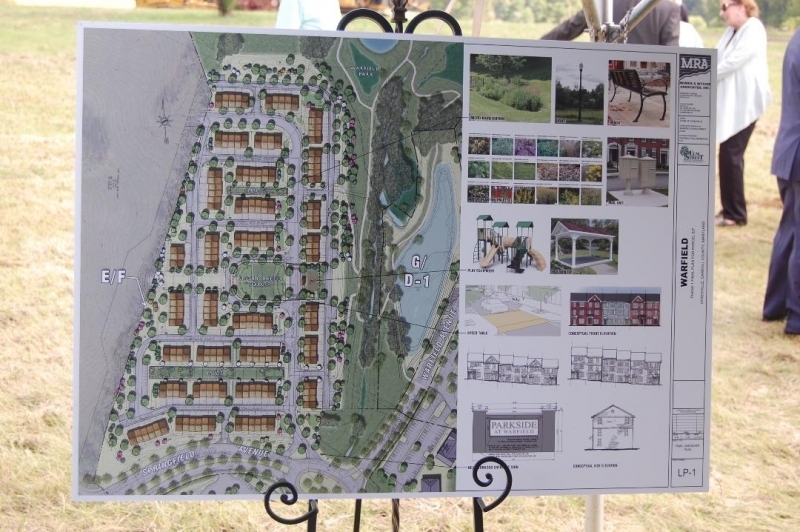 The McLean, Virginia-based company has acquired and is developing this phase of the project and is working with a national homebuilder to construct the townhomes. For the next phase of new construction, the development team is in discussions with multiple hotel and retail users. Warfield at Historic Sykesville is located approximately four miles north of Interstate 70 with a daily average of almost 25,000 cars passing the location. Many commuters and professionals in the area work at or near Ft. Meade, the state’s largest employer, which is located about 30 miles away on MD Route 32. The site is ten miles from Interstate 795, fifteen miles from Westminster, twenty miles from Columbia and thirty miles from Baltimore. Nearly 15,000 consumers reside within a five-mile radius of the site, with an average household income exceeding $117,000. Lee & Associates is a commercial real estate brokerage, management and appraisal services firm. Established in 1979, Lee & Associates has grown its service platform to include offices in the United States and Canada. Lee & Associates provides superior market intelligence in office, industrial, retail, investment and appraisal to meet the specialized needs of our clients. Visit www.leeassociates.com.